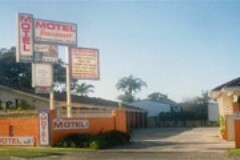 Bucanneer Motel is ideal for a comfortable and relaxing break away. Friendly hospitality, relaxing atmosphere. Single or Twin share, large family, business traveller, all welcome. Enjoy a delicious in-room breakfast. Single/Twin and Group accommodation available. Self contained rooms featuring all necessary amenities and a few extra to make your stay more enjoyable. Please contact us should you have special requirements or would simply like to find out more about our motel, locality or region can offer. Complete your details below and your enquiry will be emailed directly to Buccaneer Motel. Please check your contact details are correct to ensure the quickest possible reply.